An important factor in all students’ success is self-care. It is important to find a way to relax by finding time to take breaks from the activities included in your educational pursuits. There are many ways to get away from campus or to do activities outside of your schoolwork that will fit your budget or schedule. The City of Lincoln and Nebraska Tourism both offer opportunities that can help you de-stress. As a graduate student, it may seem difficult to read anything besides course texts, journal articles, or research results. A summer reading program for adults offered by the Lincoln Public Libraries may be just the break you need. You will need to register to participate in the rewards system at the library or online. You choose the books and the length of time you read. If you read for at least 10 hours between the end of May and the end of July, you’ll be eligible for a prize as well discounts at local bookstores, restaurants, or other local shops! If you have children, they have a program for them as well. Go to this web site for more details. Even busy graduate students can probably find 10 hours to read over the course of the summer. Consider reading during your lunch break or for a few minutes before you go to sleep. They even count time spent listening to audiobooks, so take advantage of your commute to enjoy a book or two! If you really need to get away, how about grabbing your passport and seeing the state? That’s idea behind the Nebraska Passport program. Explore the state by choosing some or all of the 70 sites listed in the passport book to visit. 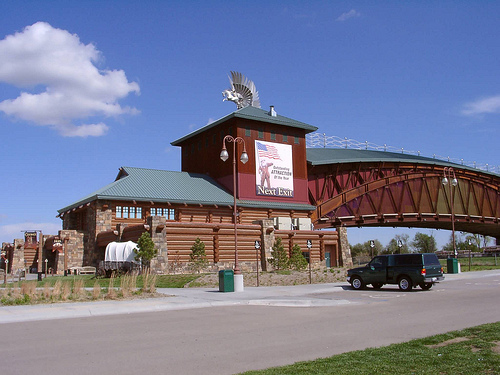 There are hiking trails, coffee shops, restaurants, unique stores, and historical places to enjoy as you discover more about this great state. There are four places right here in Lincoln! Enjoy a pastry in the morning, followed by pizza at lunch. View the exhibits at the Sheldon Museum of Art and celebrate the day with an ice cream cone from the UNL Dairy Store. There are many opportunities that will appeal to your individual personality to explore Nebraska from one end to the other during the months of June through August. You can choose something from each of the 11 categories or go to all of the stops in one category! Grab your friends and family to plan a road trip. You may earn some Nebraska gifts by getting your passport stamped at each site or at the end of the season prize drawing. Go to any of the sites in the book to pick up a free passport or VisitNebraska.com to request one be sent to you and obtain further details. One of the great things about the Nebraska Passport is that it includes many free or low-cost activities, so you can easily explore the state without breaking the bank. Want to just spend some time outside? Lincoln has many great parks to explore. Hike around Pioneers Park or Holmes Lake. Or you could just grad a favorite book and lounge or read in one of the hammocks outside the Nebraska Union. 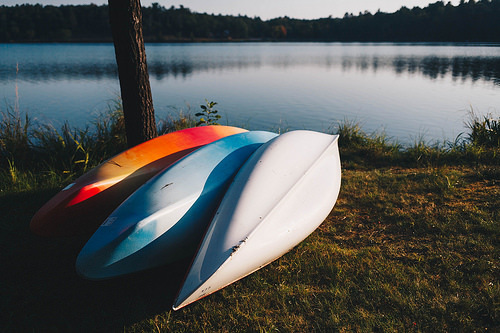 You can even rent a bike, canoe, or kayak from Campus Recreation and get out there and explore the city or local rivers and lakes. Lincoln has 131 miles of bike trails to explore, and Nebraska has 10 designated water trails for canoeing or kayaking covering 518 miles. For those who want to get out there and enjoy the beautiful weather there are many options available to you. Whatever you do, make sure to take some time to step away from your lab or desk this summer. While summer can be a great time to catch up on writing or other projects, it’s also a great time to recharge your batteries. Don’t forget that finding time for self-care is an essential part of being as healthy and successful as you can as a graduate student.